November 2010 Pet of the Month! 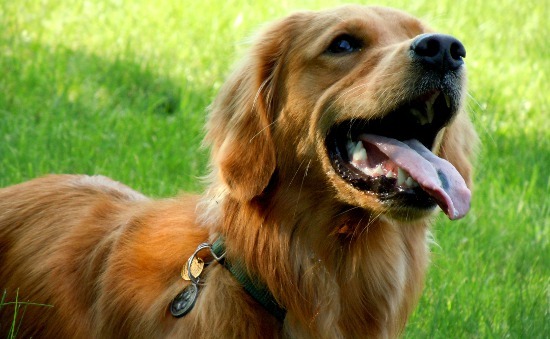 Brandy the Golden Retriever is all smiles all the time, a quality that makes him one of the most lovable pooches in his Ottawa neighbourhood. He adores long walks (or better yet runs) and playing fetch is one of his all time favourite hobbies. However, being the trendy urban dog that he is, Brandy also enjoys frequent walks to the local Starbucks and waits patiently outside, licking his chops with anticipation for the bagel mom always orders with her latte. Oh yes, life is simply sweet when you’re an optimist like Brandy. Good people, good food and awesome snuggles is everything this pooch looks for in the perfect day. Congratulations Brandy! November 2010 Pet of the Month! I really really love sticks, so much so that I once tore apart an entire wicker basket in the front foyer. Such fun! Rolling over…and over, and over, and over, and…man I’m dizzy. I feel out of a motor boat…and it wasn’t even motoring…le sigh. BEST FRIEND: Yuna the Puggle! She’s a sweetie! CATCH PHRASE: Play play play! Losing a beloved pet is one of the most heart-wrenching tragedies in this world, but as hard as it is there are many ways to obtain closure for your loss. A popular trend of the past decade is a physical memorial to your pet. There are all types of memorials, but why settle for something mundane like an engraved rock when there are far more fancy and unique ways to pay homage to a lost fuzzy soul. To begin: there’s a mess of jewelery available for the magpie-at-heart, ranging from simple dog-memory dog-tags to lizard-scale-pattern lockets to brass boxes in which to store precious memories. 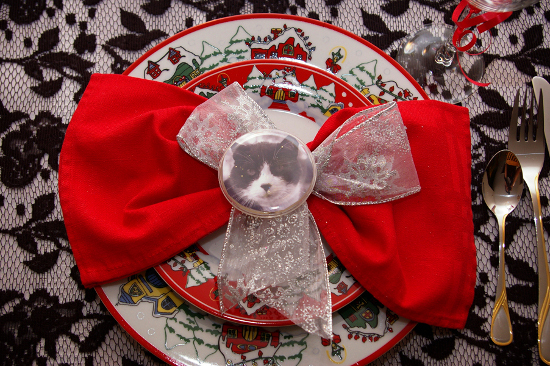 If jewelery floats your grieving boat, these ornaments can provide the most conventional and potentially least expensive way to remember your pet. Need something more tactile than a simple picture? Why not try a plush replica. By sending some pictures to a custom plush producer, you can buy a terrifyingly accurate rendition of your pet for several hundred dollars. Creepy? Perhaps, but for those who just need to hug something familiar, little can beat a tiny plush copy. Being part of the 21st Century, the internet has wiggled itself into all facets of daily life. Don’t fight the feeling; set up a personal pet memorial website, or join one of the existing ones. Making your own site, however, does come with some cost. Hosting services, web design and programming don’t come cheap. But building a completely personalized website offers an unmatched degree of creative freedom. Think of it as futuristic scrapbooking that you can share with friends and family at the click of a button. There are also many websites like http://www.ilovedmypet.com/ and http://critters.com/ that provide free template-based memorial pages to make this process simpler. Is all this too mundane? Too blasé? There are always options for those to whom money is not a factor. Why not turn your deceased best friend into a diamond? That’s right, a real diamond! All terrestrial life is carbon-based, and diamonds are nothing more than carbon chains of a maximum density. It’s quite possible to take the cremated remains of an animal (or human, for that matter) and compress them into a full karat diamond in a variety of colours. If $2000 to $18,000 for the diamond making procedure is just a bit too rich, it’s also easy to mix in some ashes with molten glass to make rather captivating memorial urn. It’s easy to forget, but memorials aren’t about mourning a death, but rather celebrating a life lived. Everything, from a locket with a favourite picture, to a website, to a multi-thousand dollar jewel is meant to be a reminder of all the good times had. 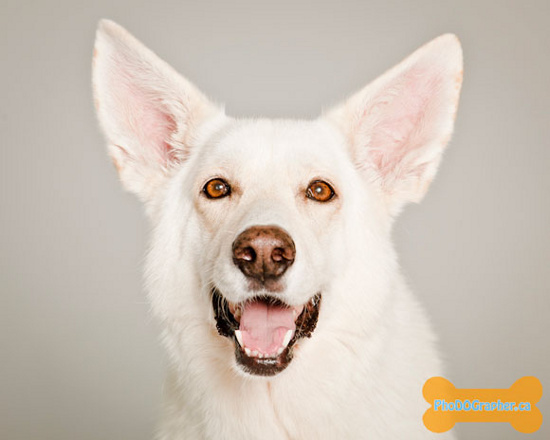 Whether all this seems over the top or just right, there’s no denying that with the right memorial, any pet can live forever in your heart and fondest memories. How do we express our love for another? Flowers? Chocolates? An exotic trip complete with champagne? While all of these may be favourable options, one of the most powerful means of declaring one’s emotions is through the magic of music. This is why love songs are so important in modern culture and why having a song written for you is considered such a high honour. 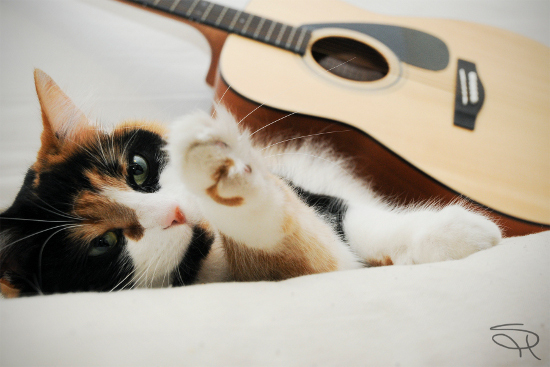 Believe it or not, music history is filled with love songs that were inspired by a doting pet and these tunes span decades, genres and artists. Firstly (and perhaps most obviously) Cat Stevens’ first ever single, “I Love My Dog” was written for his…you guessed it…dog! This song is a very literal explanation of the many reasons why Stevens loved a little dachshund that he found tied to a post as a child and adopted when the pooch was not claimed. The fact that “all he asks of me is the food to give him strength” and “all he ever needs is love and that he knows he’ll get” are some of the qualities Stevens admired about the human-dog bond. Another song that explores a human-animal friendship is “Ben.” Written in 1972 by Don Black and Walter Scharf for the movie Ben (sequel to Willard), this song celebrates a pinnacle part of the film – a young boy who befriends a rat. Although originally intended for Donny Osmond, this popular song was actually recorded by 14-year-old Michael Jackson and became his first #1 hit as a solo artist. While this song does not actually reference a real pet rat, the song has nevertheless stood the test of time and emerged as a melody that sings of lasting comradeship. The B52s were also partial to the pooch play list phenomenon, penning “Quiche Lorraine” in the late 1970s. Although there was never actually a poodle named Quiche as the song suggests, this song is about a poor mangy mutt who lives to have a good time in the rain and doesn’t let life get him down. The content resonated with the eccentric funkiness of the B52s sound and has become a loved classic by their fans. Paul McCartney is yet another international artist who owes the success of at least one major song to a pet. The 1974 chart-topping hit, “Jet” is rumoured to be about McCartney’s spunky Labrador-Retriever of the same name, although in an interview the artist superstar reveals the original inspiration in fact came from a pony he owned as a small boy. Sometimes, however, songs intended for pets are not written so joyfully, instead professing the pain of loss. For example, the Red Hot Chili Peppers’ song “Death of a Martian” is the story of the bass player’s dog, Flea, passing on while in the midst of recording the band’s insanely successful Stadium Arcadium album. The lyrics speak of the owner’s grief and reminiscing. Lead singer, Anthony Kiedis, often referred to the 200lb canine as the band’s “little spirit guide,” and grew even more attached to the song when his own dog, Buster, also passed a few weeks later. The band believes that both of these dogs helped them through some of their darkest times as a group. 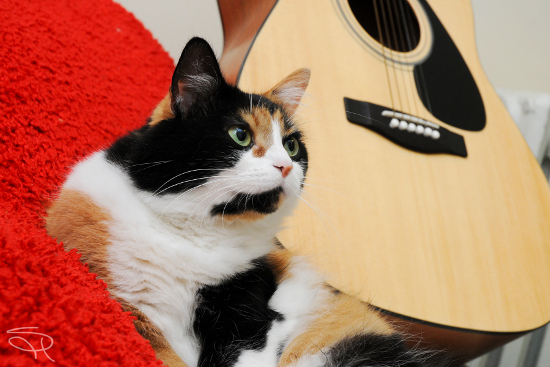 There are also a number of songs that use real pets as a metaphor for other things or people. For instance, the Pink Floyd song “Lucifer Sam.” The meaning of this song is often debated, but a couple of things can be known for sure. One of these, is that Syd Barrett did in fact own a cat named Sam, which is why it is widely thought that this song is in fact about this feline. However, other theories state that ‘cat’ was used more as a slang term for a man, or that the song is about Barrett’s then girlfriend and the metaphor of his cat is used as a way to write about her without it sounding too obvious and insulting. In any case, Sam the cat did exist and Syd Barrett seemed to have utilized his existence artistically as a way to express a message. Though these songs, and the countless others like them, seem to have very little in common on the surface, they are in fact following the same theme. Each one was written with a special pet in mind and each one has therefore immortalized these pets forever…whoever said only people could be muses? The world of horror stories that we ritualistically endure so we can spend a sleepless night wondering why we put ourselves through such psychological torture has marked the words ‘pet cemetery’ with a dark and ominous feeling. However, far from being oppressive, pet cemeteries are serene and peaceful places where a pet owner can go to remember the life of a dear departed friend. Pets are part of the family, and more and more people are turning to cemeteries or pet memorial gardens to help remember their pet once they have passed on. The difference between a cemetery and memorial garden is often one of name. However, more often than not, a memorial garden only offers markers that are flush to the ground where as a cemetery allows for fully upright markers. Pet cemeteries and memorial gardens come in a number of shapes and sizes. Talking to your vet or a quick Internet search can put you on the trail of a cemetery close to you. It is important to make sure the cemetery or memorial garden is right for you and your pet. Visit the site and talk to the owners to get a full understanding of how the site is operated. Some sites are affiliated with regulatory bodies such as the International Association of Pet Cemeteries and Crematoriums (IAOPCC). Bodies such as these assure that their members are following a code of ethics and high industry standards. An affiliation with a regulatory body is not necessary for the good running of a pet cemetery, but may be an added assurance to help put your mind at ease. If you are looking for perpetual care, it is important to make sure that maintenance fees (which should be paid up front) are put into a trust so that there are funds available for ground maintenance as a cemetery passes from one caretaker to another. This pet cemetery is located south of Steinbach, MB. They cater to animals of all sizes and will bury caskets or urns, but do not offer any cremation services on site. Each plot includes a head plate in the shape of a cloud, symbolizing a pet’s entrance into the afterlife. The maker is flush with the ground and has your pets’ name, their year of birth and year of death. Plates can have up to 13 characters for a personalized message. The cemetery offers a number of caskets and can pick up from a vet for an additional charge. Located near Eden, ON, this pet cemetery is open to budgies, horses and everything in between. They also offer burials for caskets or urns, but do not have cremation services on site. They offer a variety of caskets and upright granite makers. Open all year round, they offer to do pick ups as well, making this painful process as convenient as possible for owners. Located in Rocky View Alberta this park welcomes all animals into its grounds, from hamsters to horses. They offer a variety of ways to remember you pet. Burials and a number of other options for cremated remains are available such as columbarium, a country columbarium or a wishing well. Markers are flush with the ground, however a few upright makers are allowed along the edges of the park. Caskets, urns and markers are available and pick up from home or veterinarian’s office can be arranged. The memorial garden is a member of IAOPCC and part of the Country Club Pet Resort. Nothing is more difficult than saying goodbye to your furry friend, but putting them to rest in a beautiful pet cemetery or memorial garden may be a great way to honour your pet’s memory forever.